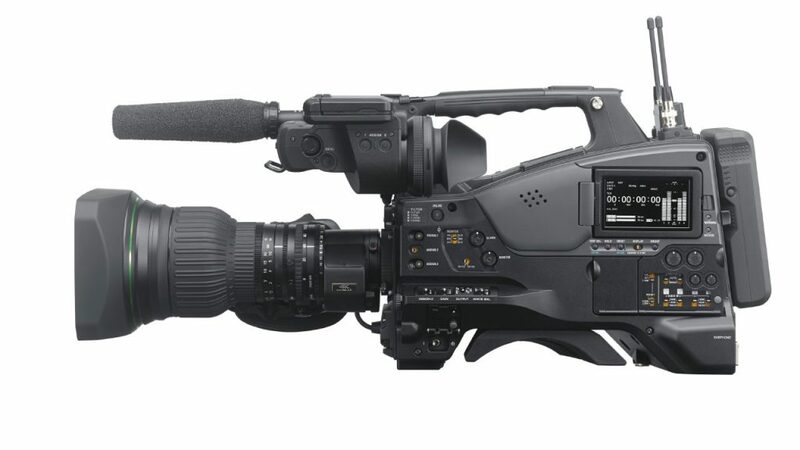 During NAB 2016 Sony announced the new XDCAM PXW-Z450, the world’s first 4K shoulder camcorder. Using a specially-developed Exmor R 4K 2/3-inch type CMOS sensor, the PXW-Z450 is perfect for a vast array of 4K productions. The camera combines enhanced weight balance and low power consumption with field production features necessary for broadcasters. The Sony PXW-Z450 features a built-in wireless module, embedded RJ-45 Ethernet 100B-T connector and Near Field Communication (NFC) function for simple Wireless LAN setup and operation via a smartphone or tablet with Sony’s Content Browser Mobile™ application. The PXW-Z450 is capable of multi-format recording and captures QFHD (3840×2160) at 50p/59.94p, as well as an array of HD formats including XAVC Intra, XAVC Long GOP, MPEG HD 422 and MPEG HD 420. The camera accepts standard B4-mount lenses without the use of an adapter, making lens swapping easy and effortless. Perfect for broadcast production and ENG freelance photographers, the PXW-Z450 supports pool feed functions (HD/SD-SDI), allowing broadcasters to record an external signal on an SxS card from another camera on-site without a portable deck. An “ONLINE button” allows users to transmit proxy clips or stream AV signals to other equipment connected on the network. The PXW-Z450 supports a variety of Sony’s viewfinders, including the Full HD OLED HDVF-EL30 and HDVF-EL20. Sony have yet to announce pricing for the PXW-Z450, which is said to be available by the end of 2016. 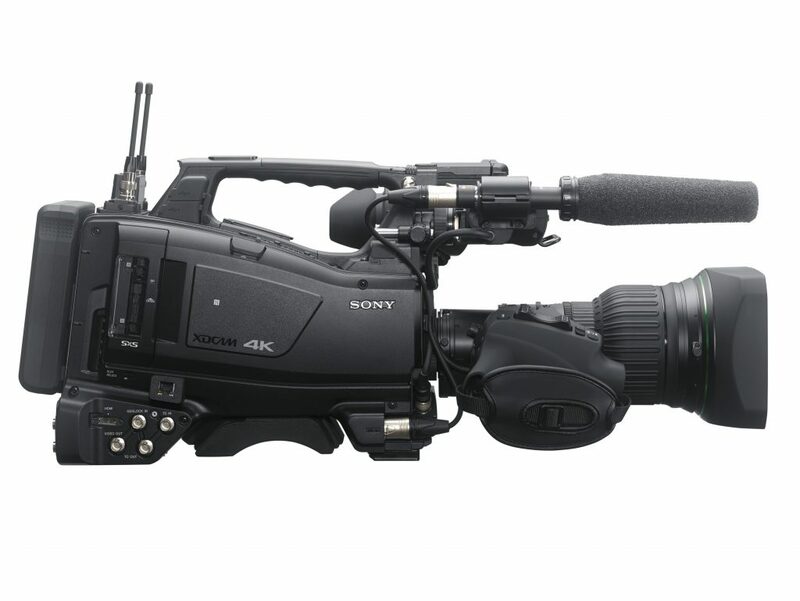 To learn more about the Sony XDCAM PXW-Z450, click here. Sony has released the much anticipated Software Update Version 2.00 for the PXW-FS5 and PXW-FS5K Camcorders. Along with some welcome features, the most interesting aspect of the update is the ability to externally shoot and record in RAW mode. This feature requires Sony’s $600 CBKZ-FS5RIF RAW upgrade (sold separately) to become functional, allowing the user to record 4K (4096×2160) 60p/50p and continuous 2K (2048×1080) 240fps/200fps on an external recorder (i.e. Convergent Design’s Odyssey 7Q+ and Sony’s AXS-R5 with the HXR-IFR5 interface unit). Automatic adjustment of the ND filter density. Enhanced zebra function that enables the selection of 2 types of settings. The level settings can now be adjusted in 1% increments. The ability to select which audio is outputted through the headphones. The ability to acquire and record position information when shooting using the GPS function. Ver.1.11 or earlier is required to perform the update to Version 2.00. Visit Sony’s website here to download the update (Mac & PC versions available).